Jupp Heynckes has been named Germany's Coach of the Year for 2017/18 after coming out of retirement to steer Bayern Munich to their 27th Bundesliga title. The 73-year-old, who took temporary charge of Bayern for a fourth time in October 2017, claimed the prize ahead of Schalke counterpart Domenico Tedesco and his successor - a DFB Cup winner with Eintracht Frankfurt last season - Niko Kovac. "I'm really delighted to be voted Coach of the Year by sports journalists," Heynckes said. "My biggest compliment, however, goes to those who didn't vote for me because there are so many good young coaches in the Bundesliga, guys who are no less deserving of the honour - and, of course, Christian Streich at Freiburg." Heynckes oversaw 41 matches in all competitions after replacing Carlo Ancelotti as coach. Bayern were five points adrift of Bundesliga leaders Borussia Dortmund at the time, but went on to wrap up the title with five games to spare, finishing some 21 points clear of their nearest challengers Schalke. The Munich giants also reached the UEFA Champions League semi-finals, losing to eventual winners Real Madrid 4-3 on aggregate, and the DFB Cup final. "It's particularly nice that an older coach has won the prize at a time whens there's almost an obsession with youth," said Bayern president Uli Hoeneß. "He turned what was quite a difficult situation on its head." It is the second time Heynckes has been named Germany's Coach of the Year. 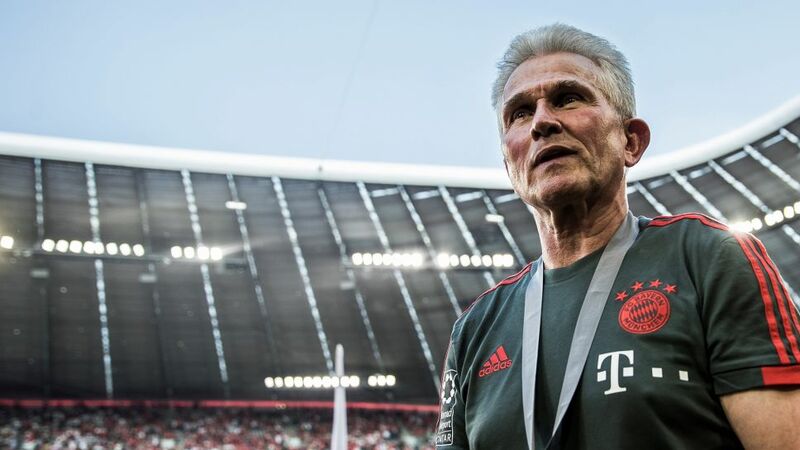 The emeritus tactician previously won the award after guiding Bayern to an historic Bundesliga, Champions League and DFB Cup treble in 2012/13. He holds the record for most Bundesliga appearances by a player or coach (1,038 matches). Former Bayern midfielder Toni Kroos - a 2018 Champions League winner with Madrid - won the Player of the Year prize. Freiburg striker Nils Petersen and Schalke defender Naldo came second and third respectively.